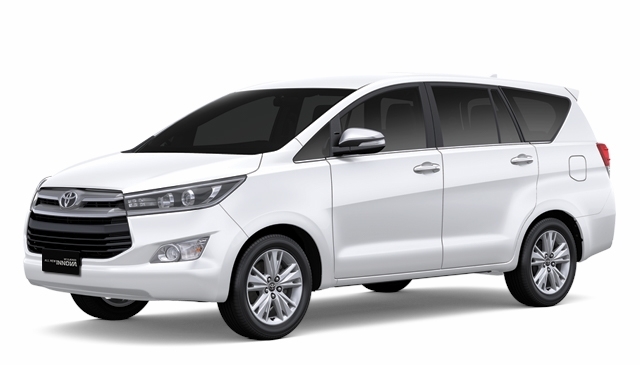 The Toyota Innova Crysta is now launched and it also carries a price tag. And the price tag is not cheap. It starts with 13.83 lacs ex showroom Mumbai for the Basic-G version and it goes all the way upto 20.83 lacs for the top end versions. So for example the GX version comes to 18.43 lacs or so which is a whopping 3.5 lacs more than the ex showroom. This would mean that the Innova just went out of many people's budget. This also would mean more market for the already raging Creta from Huyndai. The Ecosport got bashed by Brezza from Maruti, the Lodgy is growing in numbers though being an ugly duckling, mostly due to the cab guys and the S-Cross having got eaten up by Creta. The Baleno's long waiting period is not helping either for Maruti. So its an interesting and exciting time for auto manufacturers this quarter with on the one side great products devouring competition and on the other a single manufacturers two products marginalizing one another. The Innova for its new version is bound to get many takers who swear by its reliability, great engine, great service and many smiles on the road. With the automatic it just is going to ace the sales charts shortly.